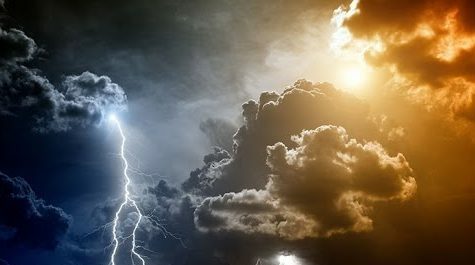 You’re currently browsing our quick weather facts page where you’ll learn loads of quick facts concerning the various weather types such as tornadoes, hurricanes etc as well as other climatological facts. For more detailed facts and articles about the weather and climate we live in check out our weather facts section. 1. The fastest speed a falling raindrop can hit you is 18mph. 2. During a hurricane, 90% of the people who die end up dying from drowning. 3. The coldest temperature ever recorded was a negative 126.9 degrees fahrenheit in Vostok Station, Antarctica. 4. Between evaporation and falling as precipitation, a droplet of water may travel thousands of miles. 5. The typical lifetime of a small cumulus cloud is between 10 to 15 minutes. 6. A corn field of one acre gives of 4,000 gallons off water per day in evaporation. 7. A molecule of water will stay in Earth’s atmosphere for an average duration of 10-12 days. 8. Snowflakes falling at 2-4 mph can take about 1 hr to reach the ground. 9. For each minute of the day, 1 billion tons of rain falls on the Earth. 10. At any given time, on average there are about 1800 thunderstorms occurring on earth with 100 lightning strikes per second. 11. Lightning bolts can travel 60 miles. 12. A lightning bolt travels at about 14,000mph and brings 300,000 volts of electricity to the ground. 13. The air located around a lightning bolt is heated to around 30,000 degrees Celsius. This is 5 times hotter than the surface of the sun. 14. The chances of being struck by lightning is about one in three million. 15. The largest hailstone ever recorded in the United States was nearly the size of a soccer ball. It was a 7-inch wide chunk of ice. 16. Lightning sets about 10,000 forest fires every year in the United States. 17. In one day a hurricane can release enough energy to supply all of the nation’s electrical needs for about six months. 18. The highest temperature ever recorded in the United States was 134 degrees F at Greenland Ranch in Death Valley, California. 19. In 1899, it was so cold that the Mississippi River froze over its entire length. 20. The United States uses an estimated 10 million tons of salt each year to melt ice on the roads. 21. A cubic mile of ordinary fog contains less than a gallon of water. 22. An inch of rain water is equivalent to 15 inches of dry, powdery snow. 23. Every year in the US, 625 people are struck by lightning. 24. The average width of a tornado’s funnel averages about 100 to 200 yards but may be as wide as a mile.